Lent recalls times of wilderness and wandering, from newly freed Hebrew slaves in exile to Jesus' temptation in the desert. God has always called people out of their safe, walled cities into uncomfortable places, revealing paths they would never have chosen. Despite our culture of self-indulgence, we too are called to walk an alternative path - one of humility, justice, and peace. 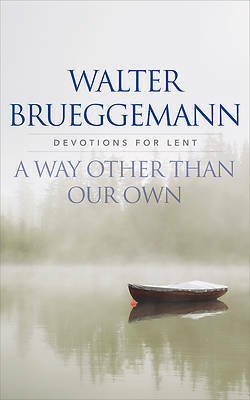 Walter Brueggemann's thought-provoking reflections for the season of Lent invite us to consider the challenging, beautiful life that comes with walking the way of grace.